information about the key animal species present in the Park, (such as lion, leopard, elephant, black and white rhino, buffalo, hyenas and cheetahs), as well as supporting with conservation work, anti-poaching and veterinary operations when necessary. 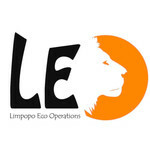 LEO Africa also focuses on green energy, recycling and education on the meaning of conservation and sustainability for present and future generations. Volunteers are the center of our work, helping us in the field as well as supporting the project financially, making our vital work possible. You will learn new skills and make amazing memories whilst living a truly African experience!